FEW CITIES IN THE WORLD can rival the energy and vibrancy of New York. Everyone loves New York in one way or another. It is in many ways the capital of the planet. 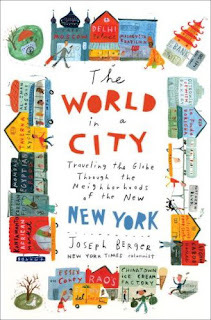 Two new, wonderful collections of journalism by reporters for The New York Times, Dan Barry and Joseph Berger, illuminate everyday life in the five boroughs in the city that never sleeps. Hi, Eric. Hope you're doing well, happy & healthy. Talking about cities, 'Dark City 2' is not yet available online on the MPH site, is it?